They may already be neighborhood-famous, but it’s finally time for backyard grill masters to get their moment in the national spotlight. Live with Kelly and Ryan is providing the opportunity. The morning show hosts announced a new competition, the (awkwardly named) Fired Up Friday: Fan Foodie Face Off that invites grilling experts to enter their best recipe in one of three categories. For nine Fridays this summer, the show will fly a contestant to New York to show off their grill skills. Contestants will demonstrate their recipe live on the show and then viewers can go to all the show’s social media pages to vote if they like it. The featured categories are burgers, skewers and tacos, and each week, one contestant will be featured. Every three weeks, a category winner will be announced. According to the official rules, the category winner will receive a trophy, and each weekly contestant will receive $500 (in addition to a trip to New York!). To enter, interested grillers must upload a video — no longer than 30 seconds — on the Live with Kelly and Ryan website explaining why their recipe is the best. The video entry window is from May 25 to Aug. 6. The webpage says, “the video submitted should display entrant’s personality, creativity, passion for grilling, and explain/show what the dish is.” It also advises that the dish has to be an original recipe. This is a great time to dig into grandma’s old recipe files! 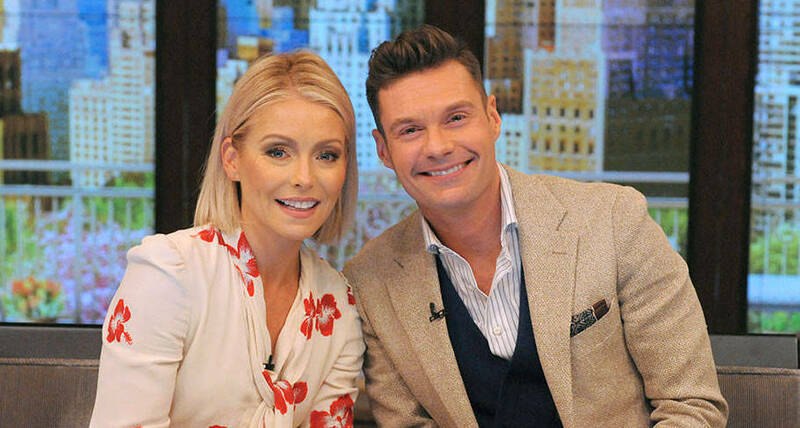 Ripa and Seacrest love their contests but they often conduct them by phone or web. In the past, they’ve run contests to predict Oscar winners, find the cutest cat and pick the most adorable baby. Rarely do they actually bring contestants on the show, but this setup sounds perfect for the show’s freewheeling atmosphere. And why wouldn’t they want to taste test the finalist’s offerings in person? The complete details, official rules and entry page are all on the website for Live with Kelly and Ryan. We wish good luck to all the backyard foodies!